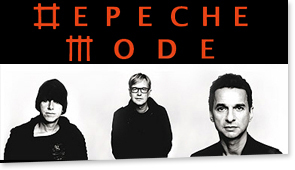 Depeche Mode's "Tour of the Universe" is one of the largest ever tours undertaken by this group and is expected to be one of the top musical events of the year. Depeche Mode will perform in front of one million three hundred thousand fans during the European leg of this tour. Definitely an event not to be missed by Depeche Mode fans.